The Prison Letters of Nelson Mandela - Description | W. W. Norton & Company Ltd.
Arrested in 1962 as South Africa’s apartheid regime intensified its brutal campaign against political opponents, forty-four-year-old lawyer and African National Congress activist Nelson Mandela had no idea that he would spend the next twenty-seven years in jail. During his 10,052 days of incarceration, Mandela wrote hundreds of letters to unyielding prison authorities, fellow activists, government officials, and most memorably, to his wife Winnie and his five children. Now, 255 of these letters, the majority of which were previously unseen, provide the most intimate portrait of Mandela since Long Walk to Freedom. Painstakingly researched, authenticated and catalogued by the Nelson Mandela Foundation, the letters have been drawn from the Foundation’s archive as well as from public and private collections held by the Mandela family and South African government archives. Mandela’s letters are organised chronologically and divided by the four prisons in which he was incarcerated. Each section opens with a short introduction to provide a historical overview of each of these periods and the collection features a foreword by Zamaswazi Dlamini-Mandela. 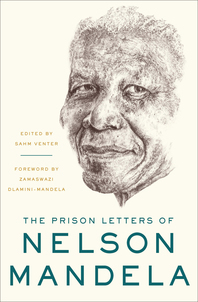 Whether writing about the death of his son Thembi after a request to attend the funeral was ignored, providing unwavering support to his also-imprisoned wife or outlining a human-rights philosophy that resonates today, The Prison Letters of Nelson Mandela reveals the heroism of a man who refused to compromise his moral values in the face of extraordinary human punishment. Ultimately, they confirm Mandela’s position among the most inspiring historical figures of the twentieth century.